Shortly after the release of Thunder’s second farewell record ‘Bang’, yours truly interviewed drummer Gary ‘Harry’ James for the now defunct Fury! webzine. At the time, James assured me that this time, their split would be definitive. Fast forward to 2015, when I’m holding ‘Wonder Days’ in my hands. I shouldn’t have been surprised, given the band’s earlier reformation after only two years and the fact that they’ve been playing live for a while, but I was. Even more surprising is that guitarist Luke Morley has written the most inspired set of songs since ‘Behind Closed Doors’, possibly even since their classic debut ‘Backstreet Symphony’. Don’t expect some artistic detour; on ‘Wonder Days’, Thunder is still the Bluesy, yet intensely melodic Hard Rock unit you’ll expect them to be. All the elements that Thunder fans have come to love are firmly in place. Danny Bowes’ voice hasn’t lost even the slightest bit of his power and range, the riffs courtesy of Morley and Ben Matthews still give the music a slight Pop Metal edge, the vocal harmonies are spot on, but the slickness of many Hard Rock bands with similar memorability is nowhere to be found in favor of strong songwriting and a healthy dose of variation. Nothing that surprising so far, but the consistency of their style, combined with the exceptional quality of the songs and the unbelievably spirited performances of everyone involved are a cause for goosebumps and – simultaneously – delight that the Brits are back. After the somewhat underwhelming ‘Bang’, I had assumed that the fire had burnt out, but it only took the powerful, Stonesy Bluesrock groove of ‘The Thing I Want’ to draw a wide smile on my face and realize that this is what Rock music is about. Before release, the huge Zeppelin-esque riff, catchy chorus and uncharacteristically busy middle section of the opening title track already confirmed my faith in the album. Lyrically, nostalgia seems to be a leitmotif on the album. The title track – if not the title itself! – and the nicely rocking ‘When The Music Played’ recall the days when the band members were younger and do that with a distinct flair. Don’t be mislead though; the album doesn’t just have nostalgic value. The strong compositions and performances make the album. Even when the band branches out a little, like on the surprisingly folky ‘The Rain’, the borderline Heavy Metal of ‘The Prophet’ and the swampy Blues shuffle of ‘Serpentine’, they sound every bit as convincing as when they are in more familiar territory, let’s say the awesome ‘Black Water’. In the end, the only thing we can say after hearing ‘Wonder Days’ is “welcome back Thunder!”. The record is amazing, easily top 3 work for the British quintet. All of the band’s melodic Hard Rock and Bluesrock glory has been restored to an extent that I – as a fan – wouldn’t even have dared to dream it would. Needless to say, fans of the genre simply can’t go wrong here. For me personally, the record consolidates my endless respect for Luke Morley as a songwriter and Thunder as a band. A masterpiece. No, I’m not exaggerating. 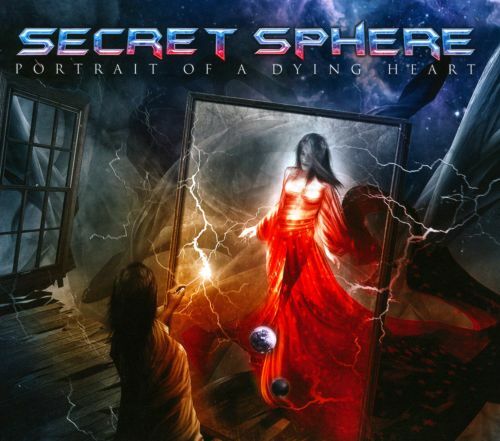 Italian progressive Power Metallers Secret Sphere were always a band I had appreciated, but for some reason, I never truly got into them. They had the melodic sensibilities and the slightly more interesting compositions than most of the other bands that followed their fellow countrymen of Labÿrinth and Rhapsody to impress me, but somehow never held my interest for a prolonged period. Enter Michele Luppi. The former singer of Vision Divine, with his impossibly beautiful voice and wide range he moves through with enviable smoothness. The band’s seventh album proves that an amazing singer was the missing piece in Secret Sphere’s formula. Luppi’s presence is felt immediately. Not only do his voice and his trademark layered harmonies mark much of the album’s character, ‘Portrait Of A Dying Heart’ is also Secret Sphere’s most overt Power Metal album thus far. The progressive tendencies – mainly early Fates Warning-isms – are still there, but the record is more song-oriented and a tad less complex than what their fan base may be used to. In fact, Vision Divine’s work is a pretty adequate reference what the album sounds like. Band leader Aldo Lonobile did keep an eye on the fact that Secret Sphere kept its identity though. With the six minute instrumental opening track and the following ‘X’, Secret Sphere wisely chose to open their album in the most progressive fashion possible. ‘X’ is speedy and intense, but does deviate from the standard Power Metal formula enough to speak of a surprise. The rest of the album contains blazing headbangers with killer riffs and fantastic choruses such as ‘Wish & Steadiness’ and the amazing ‘Secrets Fear’, proggy stompers like ‘Healing’ and ‘The Fall’ and passionate power ballads – they’re Italian after all – of which ‘Lie To Me’ is the most impressive. I’m not sure if closing the album with two ballads was the wisest idea, but at least they’re well written. Not just the music, also the mixing job is clearly in favor of Michele Luppi. It’s not hard to understand why; the man is simply one of the best – if not the best – singers in the contemporary Power Metal scene. I can imagine it may irritate fans of Secret Sphere’s instrumental prowess, but I find it a very pleasant listen. Not in the last place because the guitars courtesy of Lonobile and Marco Pastorino have a very nice tone here. Nowhere near as shrill as on most contemporary Metal records and as a result, their chords have a warm body to them. Frederico Pennazzato’s drums sound surprisingly natural and – therefore – powerful as well. And so it happened that Secret Sphere needed Michele Luppi to push me over the edge. It’s not just Luppi’s fault that ‘Portrait Of A Broken Heart’ is so good though. There is so much awesome riff work and rhythmical intensity to enjoy here that every fan of slightly more adventurous Power Metal – let’s say Angra – should find something of their liking here. You just have to be able to digest something more vocal and song driven than may be usual in the genre. Many J-Rock albums, no matter how good they are, tend to be collections of singles rather than actual albums. Even those that are presented as concept records often have their tracks only very loosely connected. ‘Faith’, the third solo album by L’Arc-en-Ciel and Vamps frontman Hyde, is an exception to that rule. It has a strong conceptual thread of religious imagery, spirituality and – in a broader sense – devotion running through all the songs. Equally important is the fact that Hyde and his Vamps bandmate to be KAZ crafted a number of strong songs, all of them with an identity of their own. In fact, it’s the best collection of material that both men have been involved with. This is definitely darker and heavier than the somewhat lightweight Rock of L’Arc-en-Ciel – although I could hear them do ‘Mission’ – and while there are some similarities with the loud, three chord verse-and-chorus Rock ‘n’ Roll of Vamps, this album has a lot more depth to it. It would probably be best described as the type of Rock you would hear on the average American radio station dedicated to the genre these days, albeit with a distinctly gloomy edge of modern Metal. 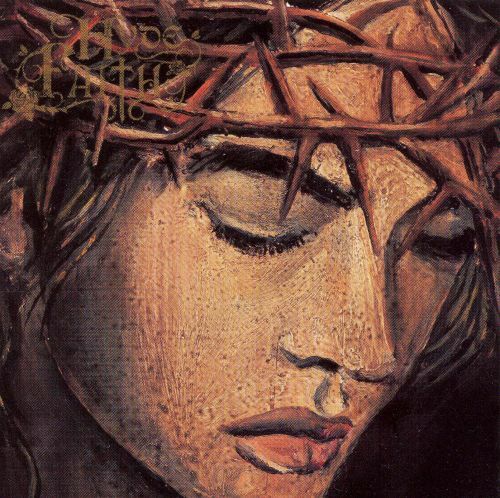 The album’s theme is most obviously reflected in the title track and opening track ‘Jesus Christ’. Both are expertly written Rock songs with an absorbing, gloomy atmosphere and a passionate vocal performance by Hyde. The keyboards lend a slight Gothic tinge to the latter, but they aren’t overpowering. ‘Faith’ itself is one of the best Rock songs I have ever heard from Japan. The rest of the album moves back and forth between heavy, stomping tracks balancing on the edge of contemporary Rock and Metal (‘Dolly’, ‘Made In Heaven’) and heartfelt power ballads (‘Perfect Moment’ being the absolute stand-out in that category). Only the moving ‘I Can Feel’ is located somewhere in the middle of those extremes. Hyde himself delivers a better performance than I have heard of him before or since. On the live DVD of this tour – and on more live products featuring him – his voice obviously suffers from either his smoking habit or just bad technique, but he sings and shouts his heart out here with perfect sense of dynamics. KAZ and his guitar work also is an important part of this album’s charm, but the secret weapon is former Nine Inch Nails bassist Danny Lohner. His inventive, surprisingly melodic bass lines decorate the best material on this record even beyond their obvious quality. While the earlier statement of conceptual continuity doesn’t necessarily make ‘Faith’ one of the best J-Rock albums I have ever heard – the compositional brilliance does – it does account for a smooth listening experience and a replay value that many other albums in the genre don’t have. Rock fans of every type should give this album a spin, as it covers plenty of ground to please many of them. Plus: there’s an international version that is almost completely sung in English, so the language argument isn’t a reason to hold you back this time! The state of Thrash Metal these days worries me. The old guard generally struggles to maintain momentum, while the younger bands can’t write a tune like their influences did and – even worse – their lyrics are disturbingly marred by toilet humor and beer tributes. Enter Angelus Apatrida. The Spanish quartet lends a fresh contemporary edge to their sound by writing riffs that are slightly more technical than traditional Thrash Metal riffs and melody plays an equally important part to their music as the intense full-speed aggression the genre is known for. Even moreso on their fifth full-length ‘Hidden Evolution’, the band’s third amazing record in a row. ‘Hidden Evolution’ does, in a way, feel like a reaction to its faster, more aggressive predecessor ‘The Call’. It may not immediately hit the listener, because opening track ‘Immortal’ is another all-out Thrash assault with delightfully technical riff work, but the album has more urgent choruses and a greater dose of variation in the tempo department than ever before. No intensity was sacrificed to do so though; ‘Hidden Evolution’ is still instantly recognizable as an Angelus Apatrida album and fans of their earlier work should have no reservations about buying this one. It just sees the band stretching out a bit. Ironically, my favorite track of the bunch is the blood boiling speed monster that is ‘Serpents On Parade’. That riff is just awesome and Víctor Valera’s drum work is nothing less than punishing. The rest isn’t any less intense though. ‘Tug Of War’, for instance, has a very distinct chorus due to its lower tempo and harmonic vocals, but also has some of the album’s most technical riffing and some killer dual guitar harmonies. The title track brings to mind Testament due to Guillermo Izquierdo’s very Chuck Billy-like deliverance in the chorus and Annihilator because of its beautiful clean guitar parts. ‘First World Of Terror’ and ‘Wanderers Forever’ are fantastic Thrashers as well. Another thing that makes Angelus Apatrida so much better than their contemporaries is the guitar work. As stated before, the riffs are relatively intricate, but Guillermo Izquierdo and David G. Álvarez pull them off with admirable ease. And those solos! Both guitarists are able to deliver some melodically strong and technically impressive lead work without losing sight of the necessary intensity. Former Arch Enemy axeman Chris Amott lends a hand in ‘Speed Of Light’, but that’s hardly necessary; Álvarez and Izquierdo can carry the weight by themselves. 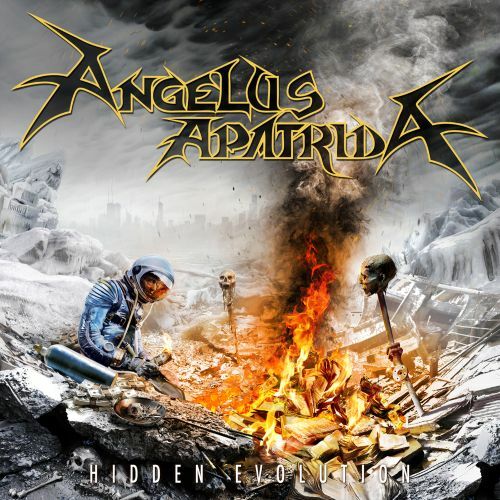 Maybe Angelus Apatrida won’t be able to save the future of Thrash Metal all by themselves, but the fact of the matter is that they are currently the only Thrash band that has both the artistic gravitas and the – overvalued – credibility and intensity to lead the crusade on increasingly disturbing trends in the Metal scene. But even when you let that go, Angelus Apatrida is simply a delight to listen to. Technically challenging, musically interesting and undeniably headbangable to the point of a sore neck. Obligated for anyone who loves Thrash.